Astrological calendar details, 14th century. This detail is from an English set of prognostic calendars from the second half of the 14th-century. 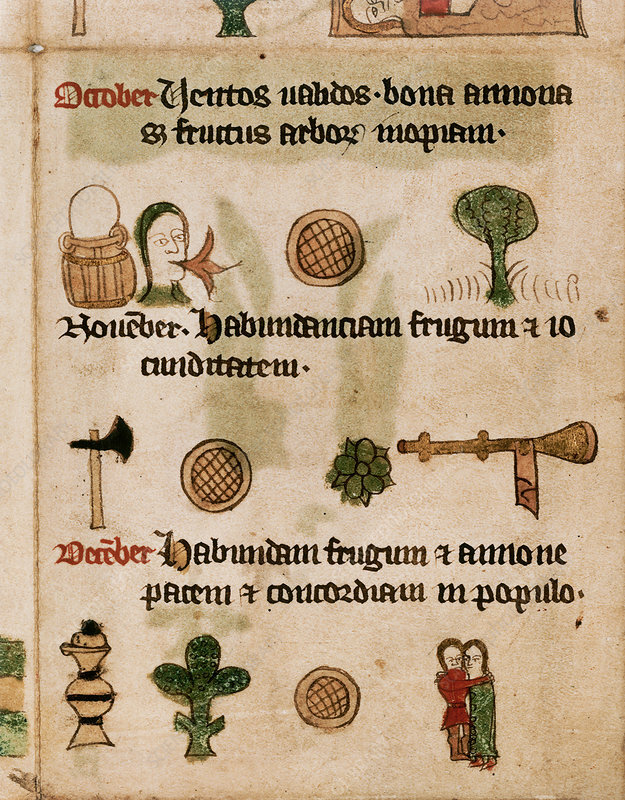 The text is in Latin, and this section shows the predictions for October, November, and December.